Welcome to popular, prestigious College Park East! This highly sought-after single story home has been well maintained over the years, perfect for the family that wants to move in at a great price and create the custom interior of their dreams. This home features a Master Suite and a separate, private second Bedroom Suite, a large Living Room with a cozy stone fireplace, a Family Room adjacent to the Kitchen, and a two-car direct-access Garage. 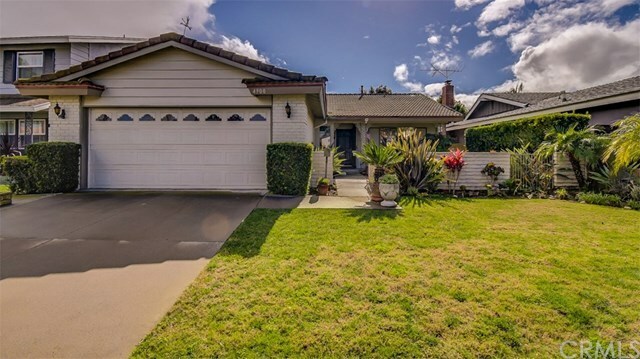 Located in the highly acclaimed Los Alamitos School District, close to shopping and restaurants, and with easy access to the 405, 22, and 605 freeways. From its attractive curb appeal enhanced by beautiful landscaping, to its spacious, very private backyard with covered patio perfect for entertaining, this home is priced to sell and ready for your personal touch! Directions: Turn from Lampson Ave. onto Tulip St. and house will be directly in front of you. Inclusions: Storage shed in backyard. Mechanic's vice in garage. Potted plants in front yard.